Whisker Menu is an alternative to the Xfce application menu. It comes with a search function, it supports browsing applications by category, you can add applications to favorites and more. 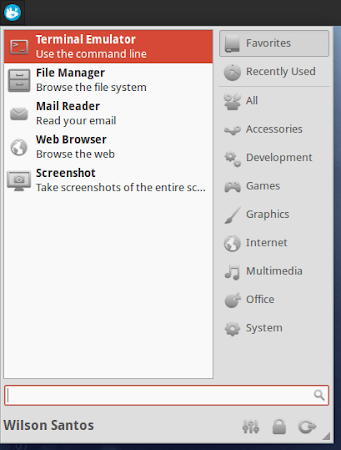 Add a "Whisker Menu" item to the Xfce panel. See this to learn how to add an item to the panel. If you would like to show the menu when pressing a key combination, add a new application shortcut with the command: xfce4-popup-whiskermenu (Settings Manager > Keyboard > Application Shortcuts).